Fishing gravel for steelhead is a touchy subject – for valid reasons. There are two types of steelhead rivers; those that support natural reproduction, and those that exist purely through stocking programs. In the case of wild steelhead rivers, the abundance of fish relies solely on natural reproduction. 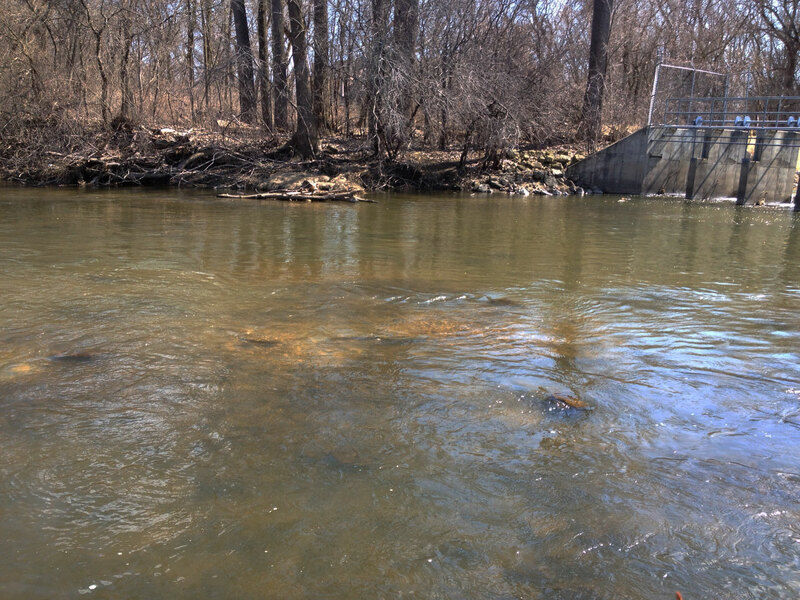 In these instances, I fully support the viewpoint that fish on, or near, spawning areas should be avoided when fishing — even in runs immediately adjacent to spawning areas where fish rest. Successful spawning results in better reproduction and that’s what keeps the river wild — and as ethical stewards of the resource, it just makes good sense. Rivers that are stocked with hatchery steelhead either supplement low production rivers or create a steelhead population where one could not exist at all naturally. In essence these rivers are managed as “put and take” fisheries strictly for angling pleasure. In the case of Wisconsin’s tributary streams to Lake Michigan, steelhead and salmon exist only by virtue of the state’s stocking program, in streams where natural reproduction isn’t viable. If the argument for leaving fish undisturbed on spawning redds is to protect natural reproduction, then in the absence of natural reproduction, can one simply disregard those self-imposed rules? Some may choose to and others may not. In my personal case, I believe there is a happy medium on hatchery-only waters that both respects your quarry and increases angling success. Fishing for actively spawning fish, even to hatchery, non-reproducing fish, is counter productive fishing. Simply put, the fish are busy getting busy and any attempt to fish to them will likely result in a foul-hooked fish. During the post spawn, when lone hens are guarding the nest, even if you did mange to hook it, the nearly exhausted, beat-up fish is neither good table fare (for those that keep fish), or hero photo worthy. In any river, nothing good can come from taking a fish off a redd. There are times, however, where I consider fishing the riffle areas and holding water near gravel both a sound ethical and tactical choice — ON RIVERS VOID OF NATURAL REPRODUCTION ONLY. At the earliest stages of the run, fresh, chrome hens and winter holdovers stake out prime gravel in riffle areas and the battle begins for reproductive rights and territory. During this time, anglers with a keen eye can watch dominate hens aggressively stake out and defend their prospective spawning areas long before willing males arrive on the scene to partake in ritual of reproductive duties. During this pre-spawn phase, extremely aggressive hens and skips will willingly smack a large fly, on the swing with rod thumping strikes. Prime gravel areas will not only hold a dominant hen (as pictured above), but often multiple subordinate hens, throughout the riffle section, that will willingly take a fly. Anglers can effectively fish through the riffle areas around the redd without disturbing the dominant hen. With pre-spawn, aggressive fish, stout leaders and rods are highly recommended. Thick tippets will not scare these fish that can be seen rolling on the surface like alligators as they battle for prime spawning areas. With the right gear these pre-spawn fish can be landed and released quickly – increasing their chance for survival. With regard to fly choices, bigger, darker and extremely flashy seems to work best for me regardless of sunlight or river clarity. 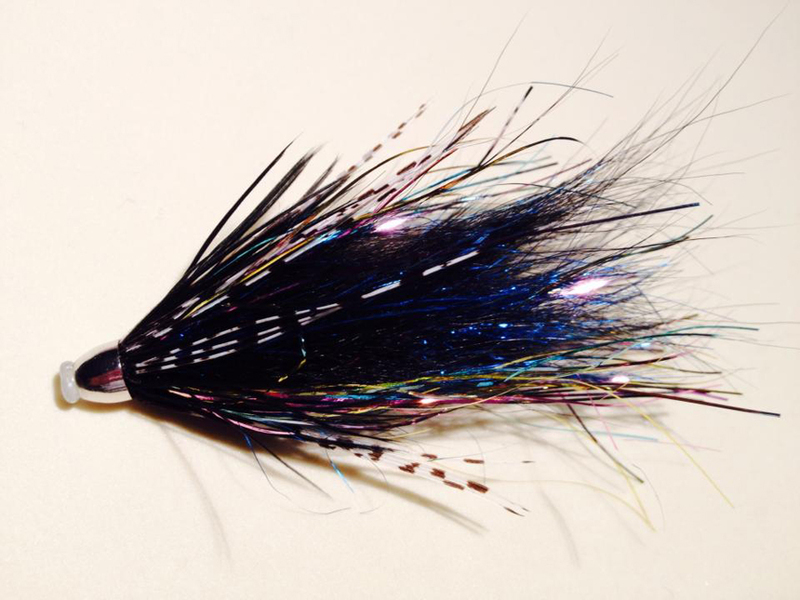 Large (3-5 inch), black intruder style flies with blue, red or purple highlights and rainbow flash will consistently work in the Wisconsin’s eastern tributaries. Rio’s IMOW tips are perfectly suited to this style of shallow water fishing. The transition tips will get a fly down quickly on short, controlled swings (where longer sink tips would hang up on larger rocks common in these runs. The 5ft Int/5ft T11 is perfectly suited to most conditions on these smaller tributaries — where casting angles are closed and swing distances extremely short (and often obstructed). To locate and target fish in the pre-spawn mode observation is the key element. Males will not be present on the gravel and the hen will not be “flashing”. Multiple hens will be seen darting onto the redd and quickly getting evicted by the dominant hen. Lone hens that appear resting on the gravel are not suitable targets – their competitors have likely moved on to other areas and it is better to find and target those areas. The success of this early season tactic has a very short shelf life. Once hens are no longer competing for gravel they shift into spawning mode and your swung fly will do little more than back the fish off the redd and annoy a fish that has lockjaw and no intention of striking. This is when you go back to fishing deeper runs for more active holding fish. To that end, fishing the riffle areas near gravel during the first weeks fish arrive in the river (before spawning begins) can provide the most aggressive steelhead fishing of the spring months. Be mindful of the stages of spawning activity and fish accordingly. Observation and awareness are your greatest tools to make decisions on when to fish or pass on the gravel. Use your head and make smart choices for the water you are fishing. April 7, 2015 in Fly Fishing Tactics.